Bread Puddin' Crunch is a gourmet dessert. What classifies our bread pudding as a gourmet item? 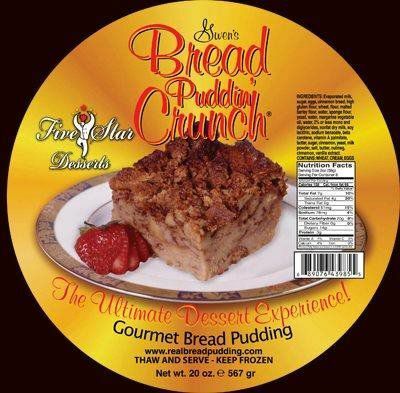 According to the National Association for the Specialty Food Trade, our bread pudding fits the following characteristics: It is a dessert that is of the highest grade and quality in its category. It has a particular processing design and currently in limited supply. It is high in quality in both content and form. And it is modestly priced because of the costly ingredients and labor used in its preparation. 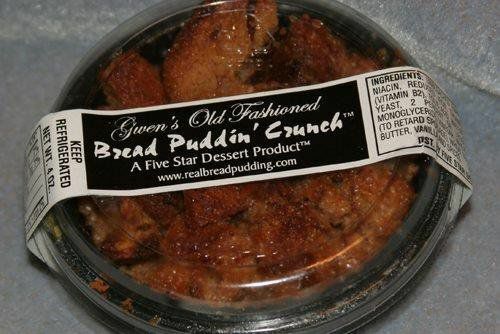 Gwen's Old Fashioned Bread Puddin' Crunch is made with just bread, eggs, milk, butter, sugar, spices and our special touch of love.